P. J. Lynch has worked as a children’s book illustrator since leaving Brighton College of Art in England in the 1980s. 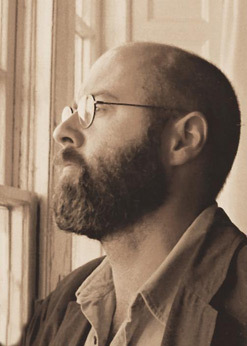 He has won many awards including the Kate Greenaway Medal on two occasions, first for The Christmas Miracle of Jonathan Toomey by Susan Wojciechowski, and again for When Jessie Came Across the Sea by Amy Hest. The Christmas Miracle of Jonathan Toomey has sold more than a million copies in the USA alone, and has recently been made into a movie. In recent years P.J. has designed posters for Opera Ireland and the Abbey Theatre, as well as several sets of Irish stamps. In 2006 Lynch completed two large murals on the theme of Gulliver’s Travels for the new Cavan County Library, and he has recently designed a giant mosaic for the Marian Shrine in Knock, Co Mayo which was unveiled in February 2016. P.J. has lectured on his own work, and on Art and Illustration at the National Gallery of Ireland, The National Library of Ireland and at the Irish Museum of Modern Art, as well as at numerous conferences and colleges across the U.S. He is the fourth Laureate na nÓg, Ireland’s laureate for children’s literature. Lynch commented in 2008: “As a non-American citizen I feel hugely privileged to have been invited to contribute to this very special book. It is also a particular pleasure for me to have illustrated a lovely story written by Patricia MacLachlan, one of my favorite authors. I confess I did not know a great deal about the story’s subject, Eleanor Roosevelt. However, when I read more about her, I found that she was known for her great kindness and sensitivity to underprivileged people of all races and religions. And she went on to become one of the most-loved and revered women of her time. 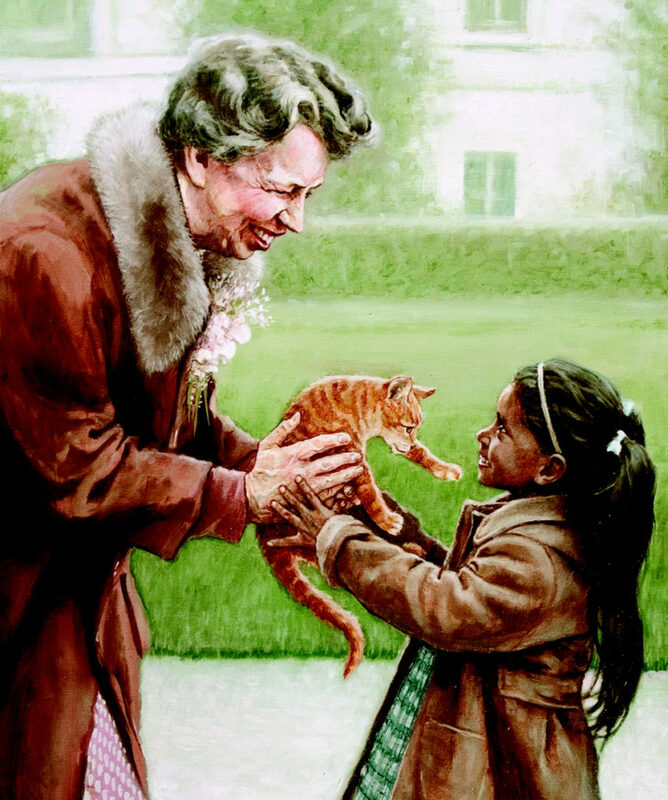 Patricia has captured her kind-heartedness beautifully in her story ‘Hands,’ and I hope I have caught a little of that quality in my painting of Ellie, Eleanor, and Bitty. P.J. Lynch lives in Dublin with his wife and their three children.